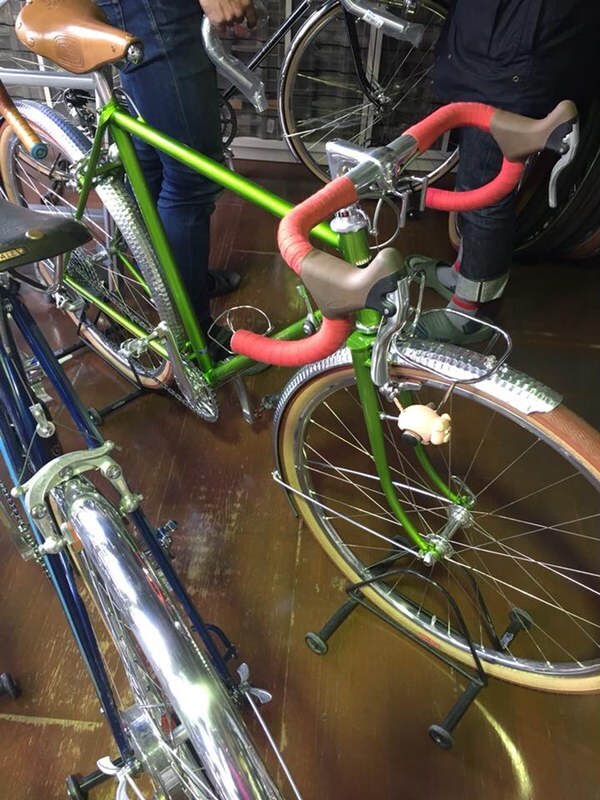 It’s always fun to match a fave brand to its foreign, brick and mortar store. 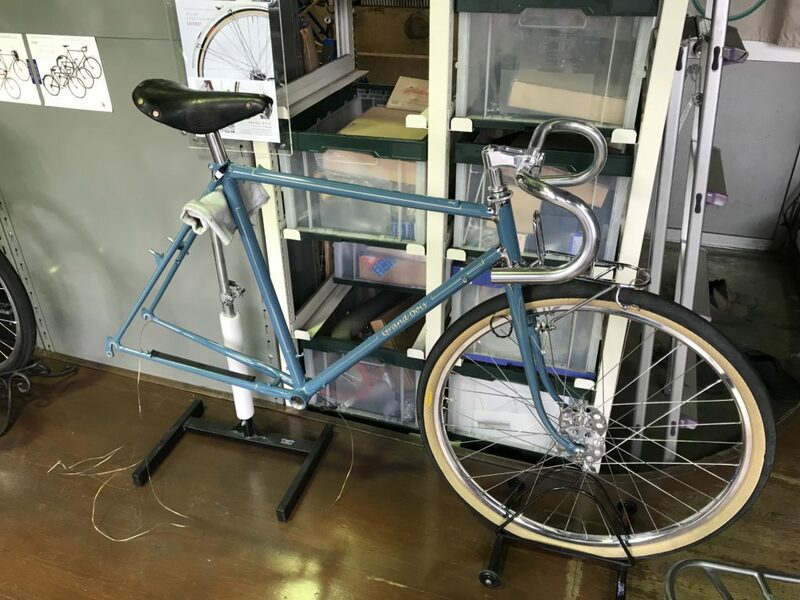 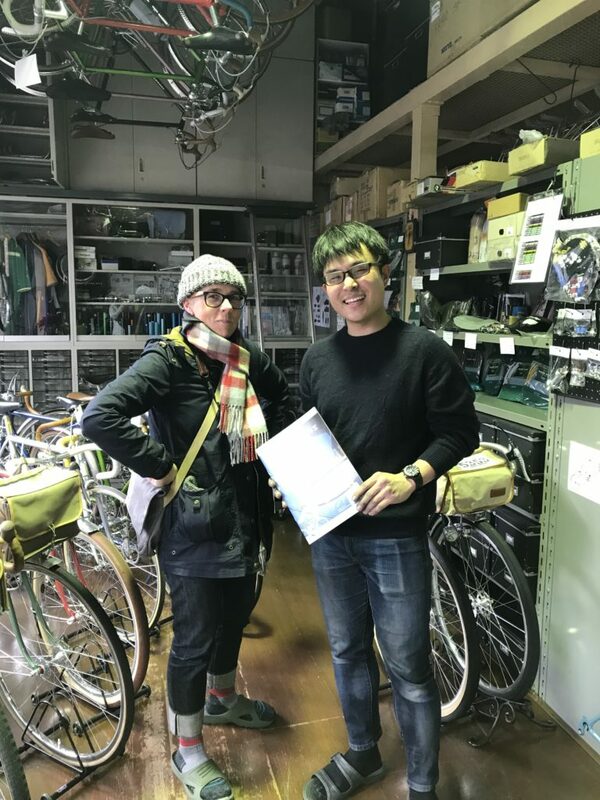 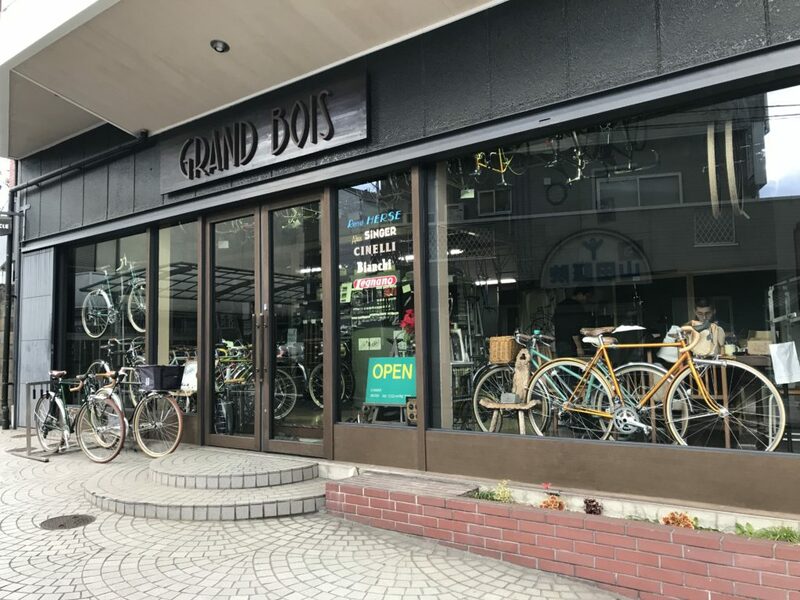 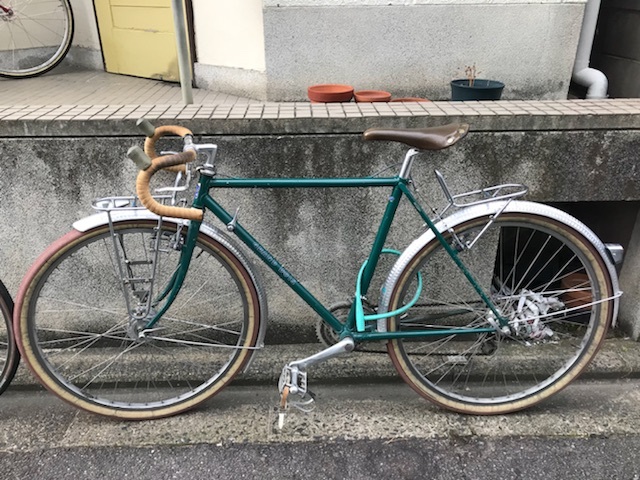 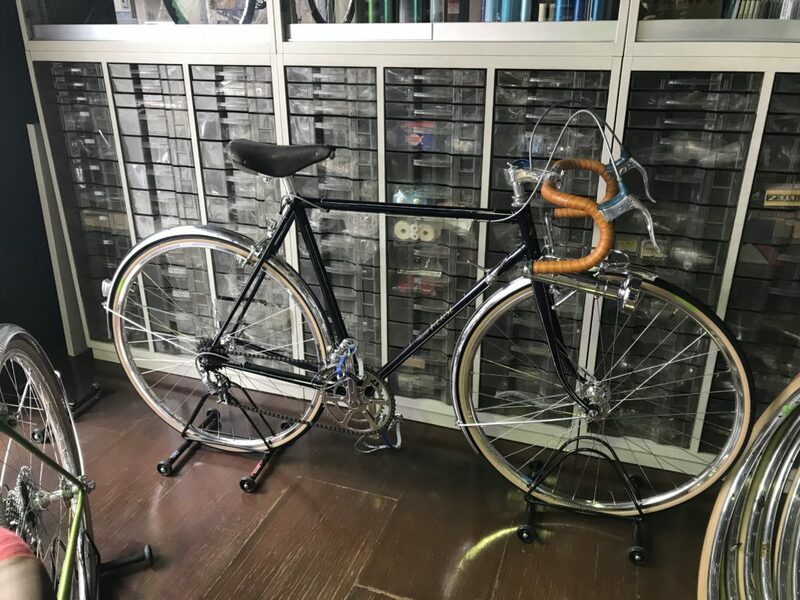 During my recent trip to Japan, I visited Cycles Grand Bois, a venerable bicycle company known for its elegant handlebars, polished bike parts, custom frames, and 650b tires. 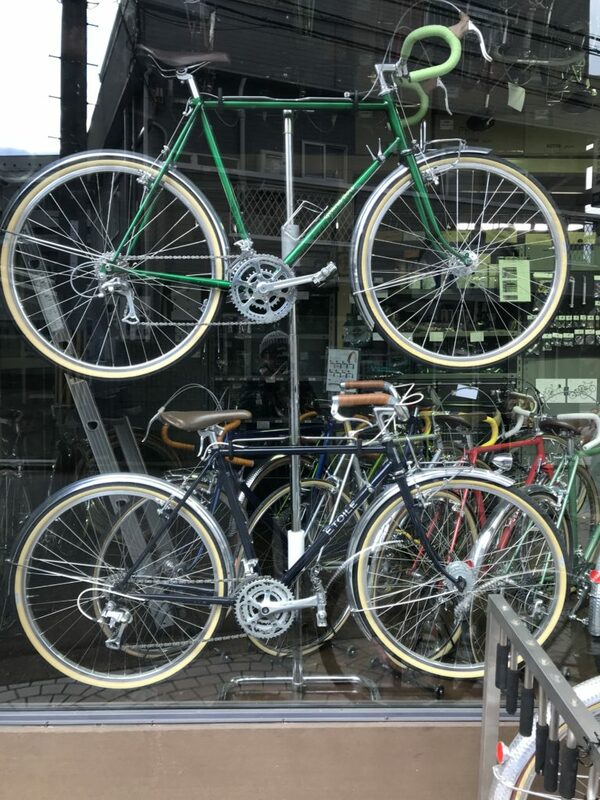 Thanks to a rando pal who knows how to navigate Google maps in Japanese, we found GB in a suburb of Kyoto. 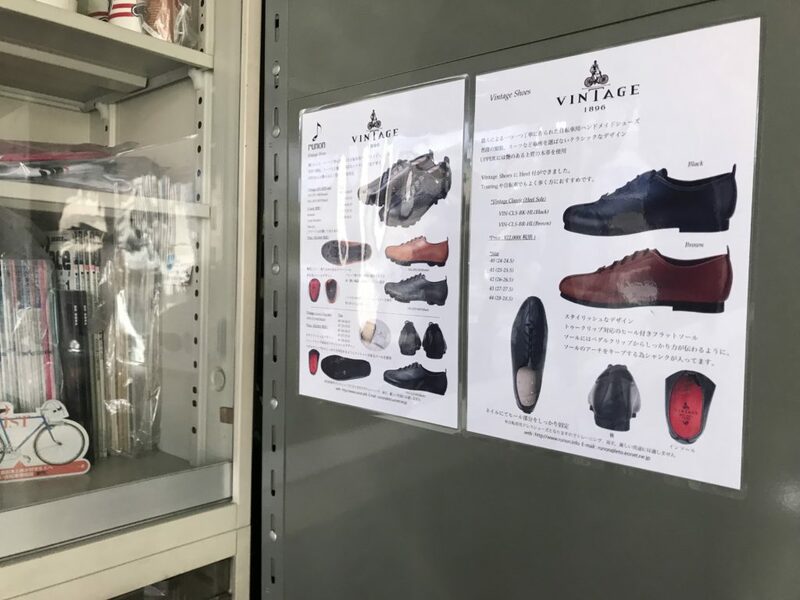 Trading shoes for slippers, we explored the main shop area and talked to the manager. 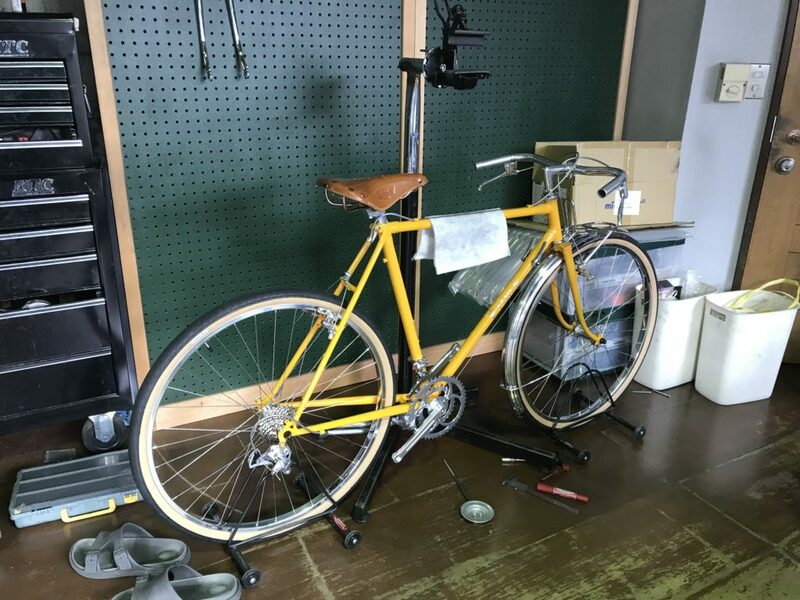 The showroom space is cramped, with bikes packed in tight bunches on the main floor and auxiliary frames stacked in window display pyramids or hung from the rafters. 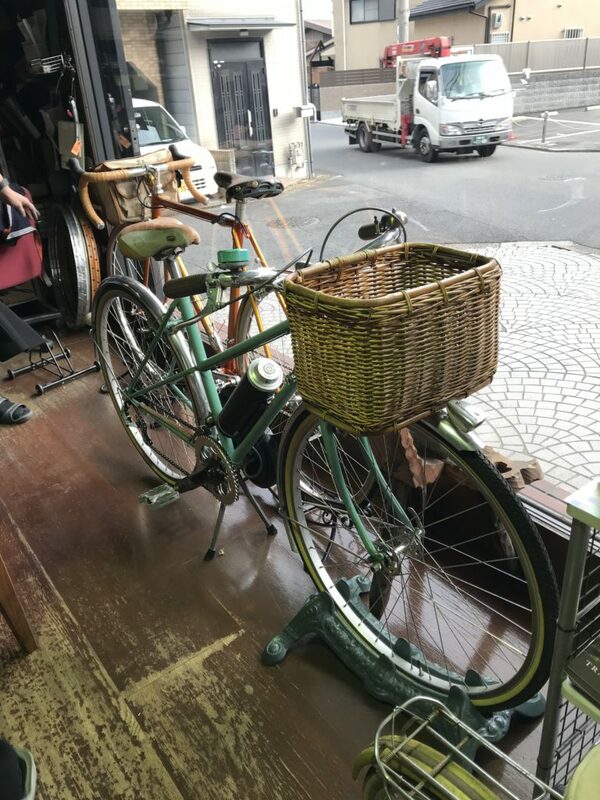 I’m including a few snaps from my visit. 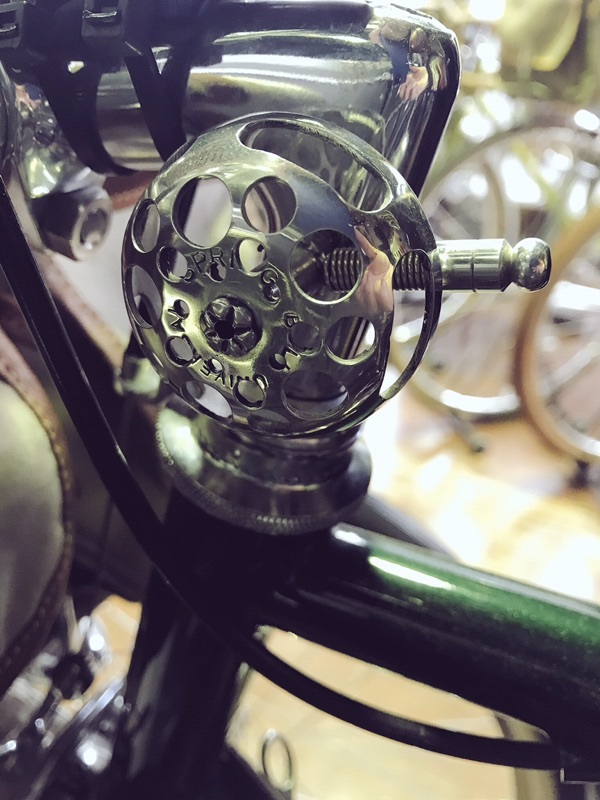 Follow Grand Bois on Instagram for a more immersive view of the shop.